All 40 factory patches from the complex and responsive Ensoniq SQ-80 • Many patches include multiple velocity layers and morphing technology to recreate the SQ-80’s dynamic response • Simple but powerful control set including Tilt EQ, Filter and Amplifier so you can craft your own sounds • Velocity-to-volume and Velocity-to-cutoff retrofitted for even more expressive options • Classic sounds for 20c per patch! The Ensoniq SQ-80 is one of our favourite digisynths (at least from the more affordable end of the spectrum… we’re not saying no to a PPG Wave any time soon). In many ways straddling the analogue / digital divide, the SQ80 and its forerunner the ESQ-1 make a virtue of combining digital waveforms, short digital samples, and analogue resonant filters, into a very warm and rich-sounding package that nevertheless has that unmistakeable early-digital sheen to its sound. Grafting little attack samples on to grainy digital sustain waves and then running the whole lot through the filter leads to instant gratification time and time again – it’s a lovely synth to program (love that big vacuum-fluorescent display! ), has a ton of really useful modulation routings, and its velocity capability and full stereo output make it a responsive and rewarding synth to play, too. We have a real soft spot for this machine. 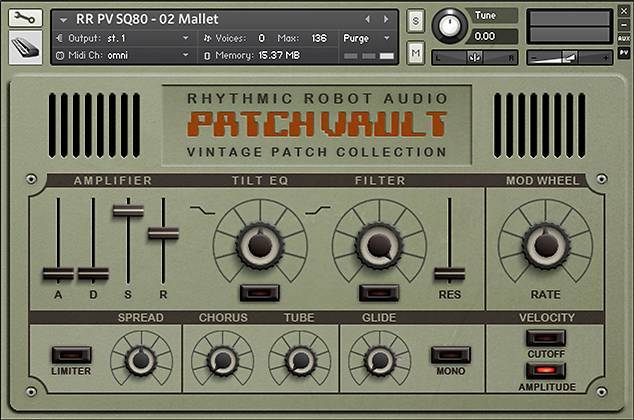 The PatchVault edition of the SQ-80 brings you all 40 of the factory sounds. 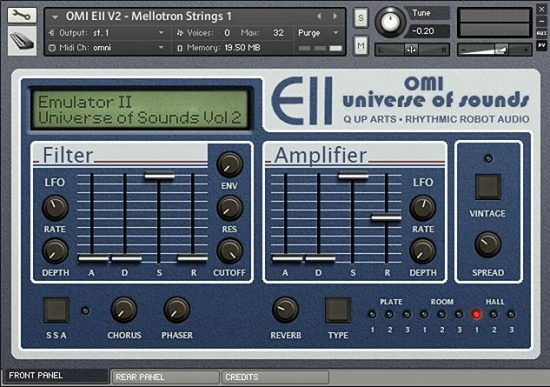 Many of these incorporate multiple velocity layers and use Kontakt’s morphing technology to recreate the precise response of the original patches, and all of them are in glorious stereo, too. With a ton of low-end heft and some glorious aliasing graininess to its waveforms, the SQ-80 stands out from the usual run of digital machines, and is a great way to bring a bit of gnarliness to the digital party. (All our Kontakt instruments require a full copy of Native Instruments Kontakt v4.2.3 or higher (including all versions of Kontakt 5). Kontakt Player is not supported: instruments will load, but will time out after 15 minutes. See the FAQ for further information.) 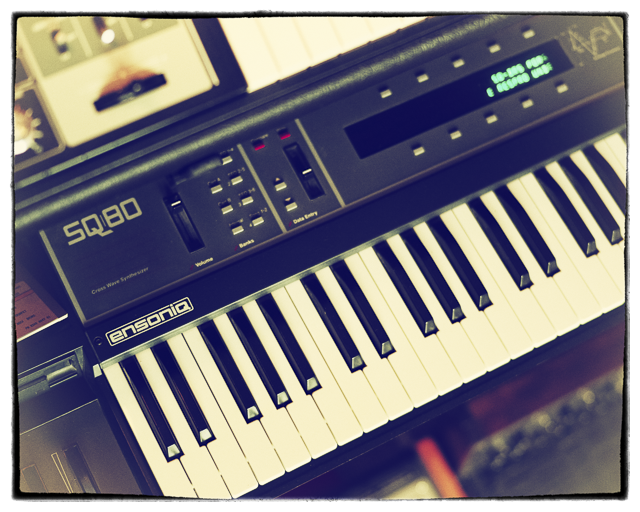 You can read more about the original Ensoniq SQ-80 here. Okay. I complained over on my ESQ-1 review about the general lack of awareness of how much gold you get for a mere 6 euros on these patch vaults. All the presets, people. All the presets. 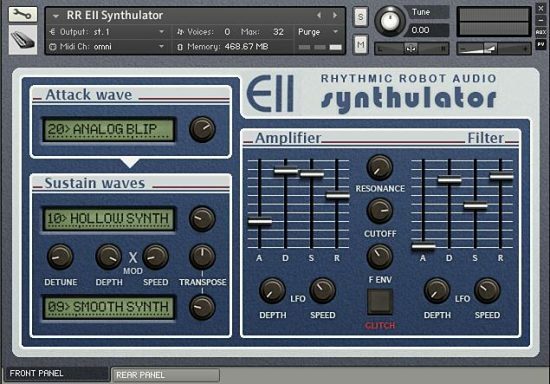 I’ll repeat the sentiment here: if you bought this synth back in the day, mostly YOU USED THE PRESETS, so you’re really getting the thing for 6 Euros, and that’s a helluva deal. 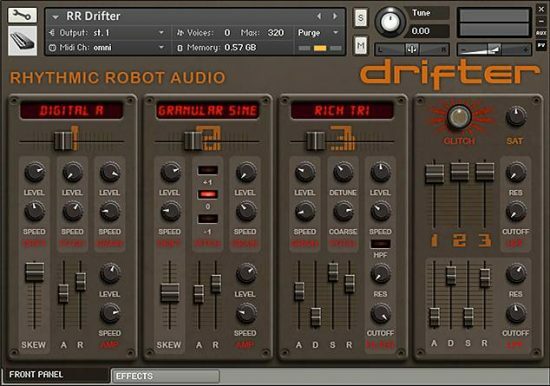 As to these sounds, get all the early digital love you could want. Something about this guys just slips right in between things in a mix in a way that makes all its neighbors happy. It’s a dream come true to have this set inside my computer without all the hassles of hardware.